we feel he did everything right for our daughter's wedding. Everyone so enjoyed the before dinner music and the dance music. At all times you are totally professional, yet delightfully friendly, and go out of your way to please. I would highly recommend you." "You did an awesome job! Thank-you so much for listening to my wants and needs for the reception. Everyone really enjoyed themselves and had a great time on the dance floor. I will recommend you to everyone as you did so great." "Your announcer was great!! Very friendly and lots of fun! We will recommend him to everyone we know!" you have a wonderful reputation around town. We felt fortunate to have you DJ for us." you played a perfect variety of all the good tunes." ~ Keith and Amanda B. ~ Dave and Dee H.
"Excellent job as usual. Thanks for staying and keeping the party going for the kids!. Everyone had a great time." "You performed at my sister's wedding six months ago and were outstanding. 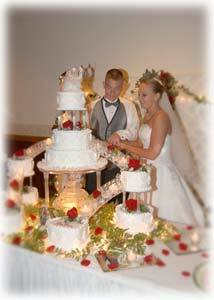 Some couples plan their wedding around the availability of the church or reception hall. I truly believe we would have planned around (your announcer's) schedule. He's that good! Thanks for being flexible and spontaneous. Great job!" "The DJ started early for the reception, played what the audience wanted and was great. Thank you for accommodating us." the perfect finish to our perfect day!" 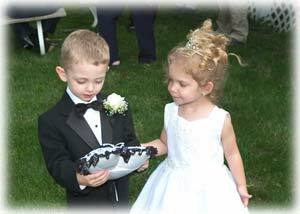 ~ Michael and Stephanie W.
"You were the DJ for both of our children's weddings- you were wonderful for both! Love the Hula Hoops. Nice addition! You are a class act. Thanks for being our DJ." "Thank-you so much for saving my wedding reception. Everyone has thanked me for having such a wonderful time and pleasurable evening. My family does not usually dance but most of them got up there at least once if not twice. The variety was good and the DJ was very easy to get along with. I love it when the DJ knows what they are doing and you don't have to baby sit or play boss all night! Thanks." 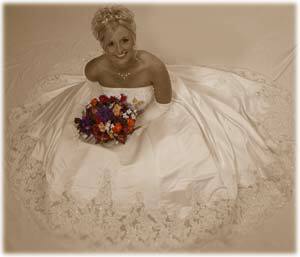 ~ Al & Tracie M.
"We were very impressed with the service we received. I was happy to see that (the DJ) was able to keep people dancing up until the end." everyone truly enjoyed having you for our DJ at our event. Thank-you for a job well done." "Everything was just great. Thanks for doing such a fine job." I guess you are our man." "It is a true pleasure to work with you. All the employees totally enjoy listening and working with you. Looking forward to next year!" "Really have been happy all year with your dances here. The kids say you're the best DJ we've had. They really enjoy you here. Look forward to having you next year." "On behalf of the Junior-Senior Prom, I thank you for the great quality of music provided on April 16. The variety and music selection was superb. You made the night very special for many of us. We wish you continued success in entertainment services." "We always rely on a quality evening with DJ America here. Our first choice for the homecoming dance has come to be DJ America." 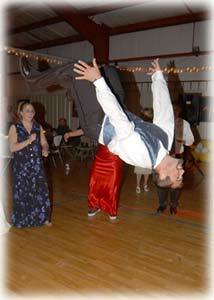 "Our DJ was great and he won us over on the phone. He really sounded like he wanted to come to (our school). We loved him and will have him back next time!" and would recommend him to everyone and if we are ever in need of DJ services we will not hesitate to call." 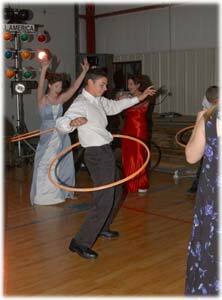 ~Tesa C.
"All the kids had a good time-even the Junior High kids were dancing early in the dance. We will try to use you in the future."